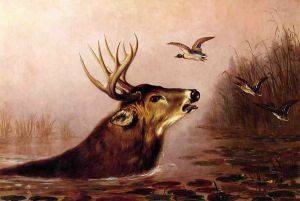 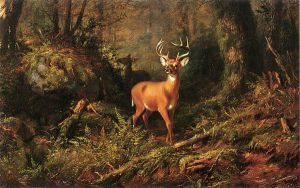 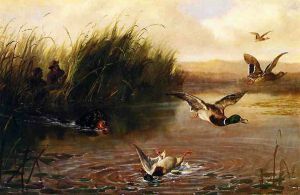 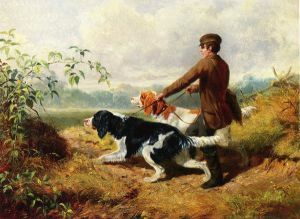 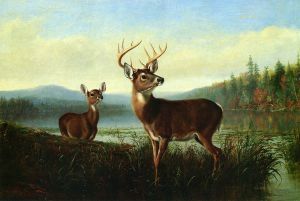 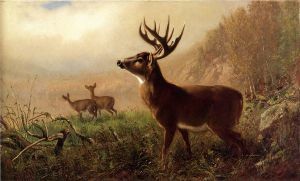 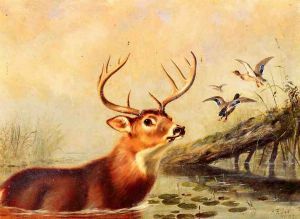 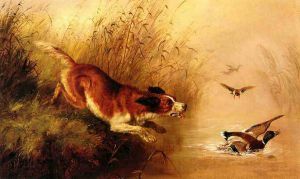 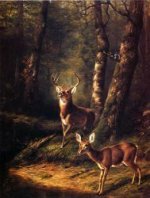 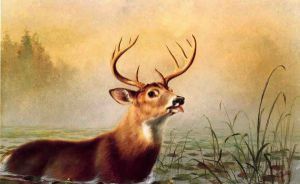 Tait, Arthur Fitzwilliam was an American artist who is known mostly for his paintings of wildlife. 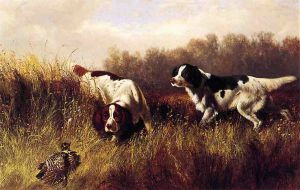 During most of his career, he was associated with the New York City art scene. 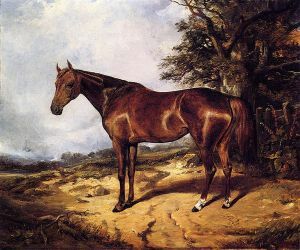 Tait was born in Lively Hall near Liverpool, England. 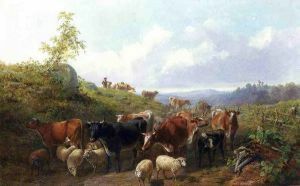 At eight years old, because his father went bankrupt he was sent to live with relatives in Lancaster. 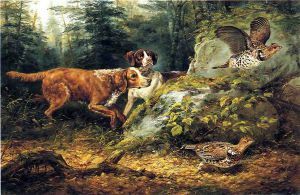 It is during that time that he became attached to animals. 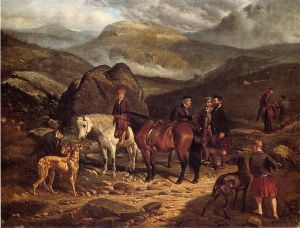 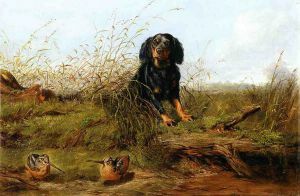 Later on, in Manchester, England, Agnew & Zanetti Repository of Art acquired Arthur Tait who began self-learning to paint, as a twelve-year-old boy. 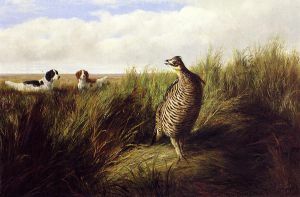 His work consisted mostly of reproduced lithography that were exposed for Agnew's exhibitions. 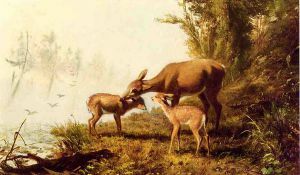 In 1838, he left the Agnew lithography reproduction business to marry. 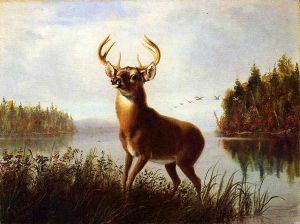 During the late 1840s he became aware of the Americas while attending an exhibition George Catlin in Paris. 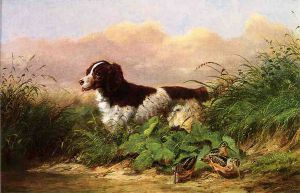 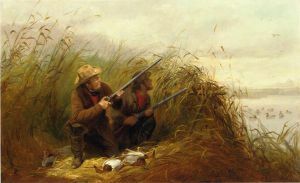 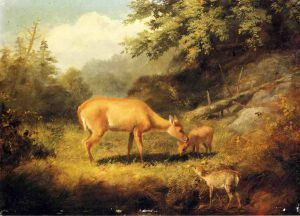 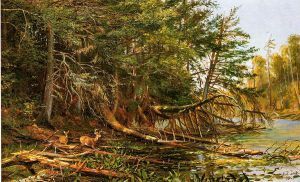 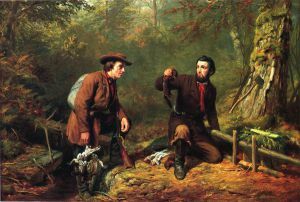 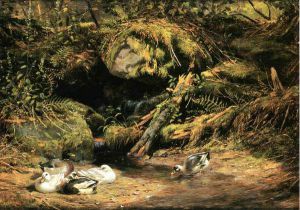 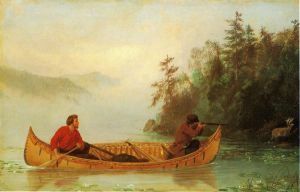 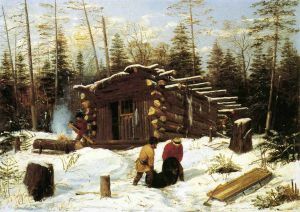 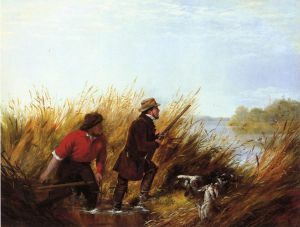 He emigrated to the United States in 1850, where he established a small painting camp in the Adirondacks to paint during summer. 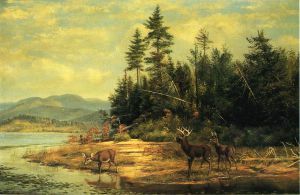 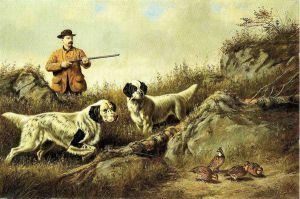 Starting in 1852, Currier & Ives reproduced lithographies of his works to publicize him. 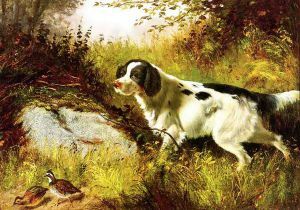 What also promoted his talent was exhibitions held at the National Academy of Design, New York during the late 1800s showing more than 200 paintings of his. 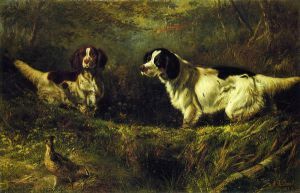 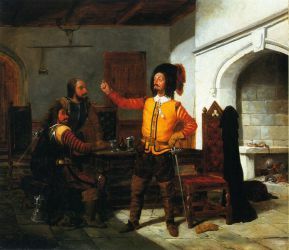 In 1858 he was elected to full membership of the Academy. 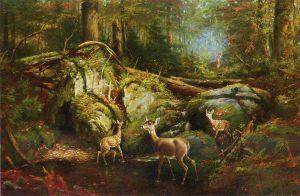 He was identified with the art life of New York until his death at Yonkers, New York in 1905. 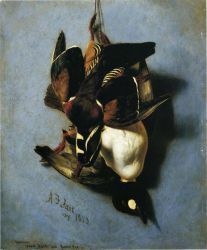 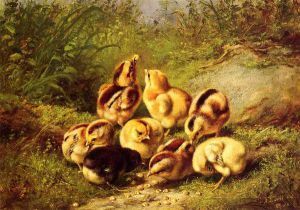 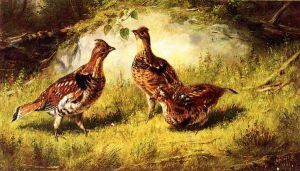 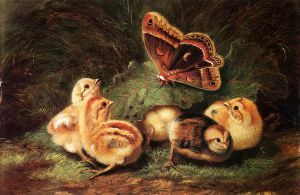 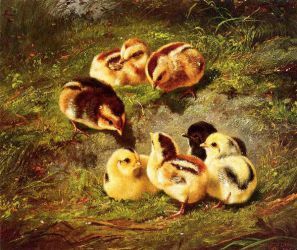 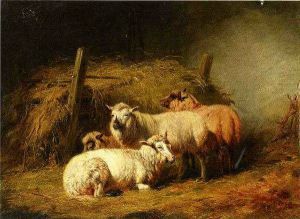 He painted barnyard fowls and wild birds as well as sheep and deer, with great dexterity, and reproductions of his minute panels of chickens had an enormous vogue.